The furniture has primarily been provided by CB2 and Structube, for a cool, modern living space. 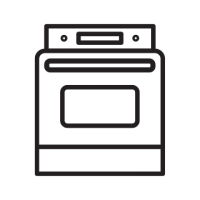 Stunning white granite kitchen counters, stainless steel appliances, and stunning modern natural wood cupboards covering for the open kitchen appliances. 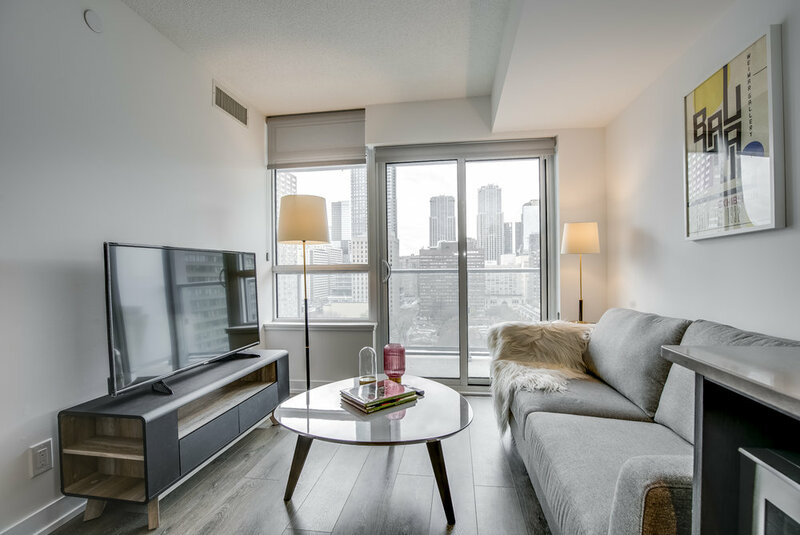 This modern short term rental is part of our exclusive Downtown Furnished Apartments Toronto Collection. Lease start dates can be flexible. An exit cleaning fee of $110 applies to all rentals. Building facilities: full gym, business meeting room, roof-top party deck, Billiard room. 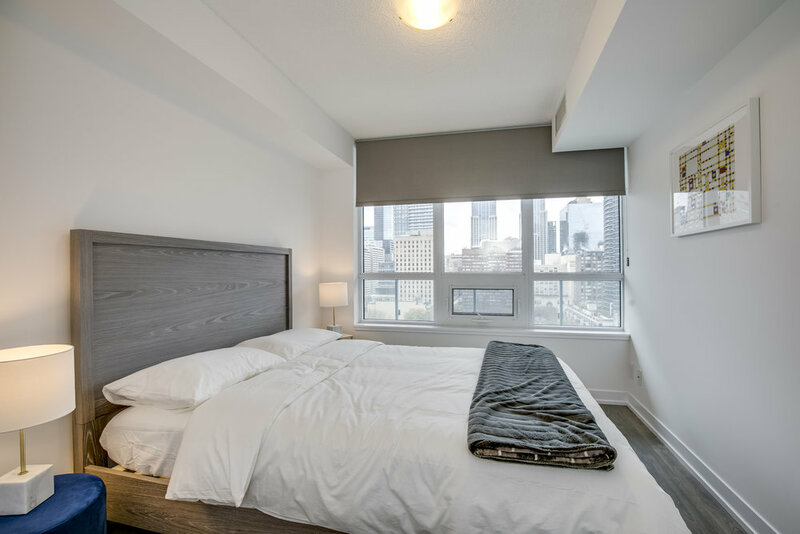 The central Church furnished condo is one block from the College subway stop, steps away from the Yonge and College Subway station. 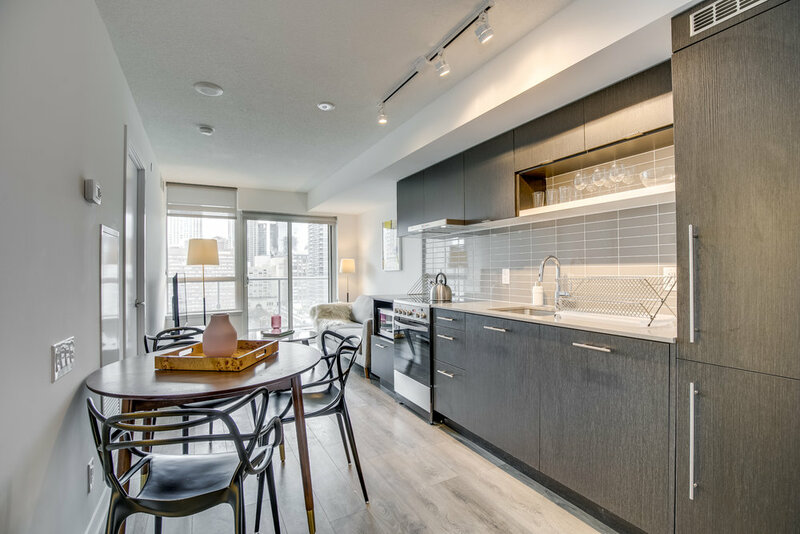 In addition, all the amenities you need are within walking distance of less than 5 minutes – a newly-built Loblaws Supermarket is one block away at your disposal, as well as a 7-11 two blocks away that is open 24-hours. A pharmacy which is open until 11pm is located up the street on Church St.
Our staff would love to help you with your furnished stay - simply email us at info@torontoboutiqueapartments.com or call us any time at 647-715-2102 or toll free 1-800-257-9483. View our other suites for more options. 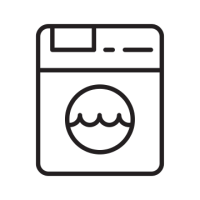 All Utilities, Hydro, Unlimited WIFI Internet, Cable TV Package, Bed Linens, Kitchen utensils, Bath Linens, en-suite washer/dryer and dishwasher. Request The Church Street Furnished Condo and we will contact you shortly about next steps!